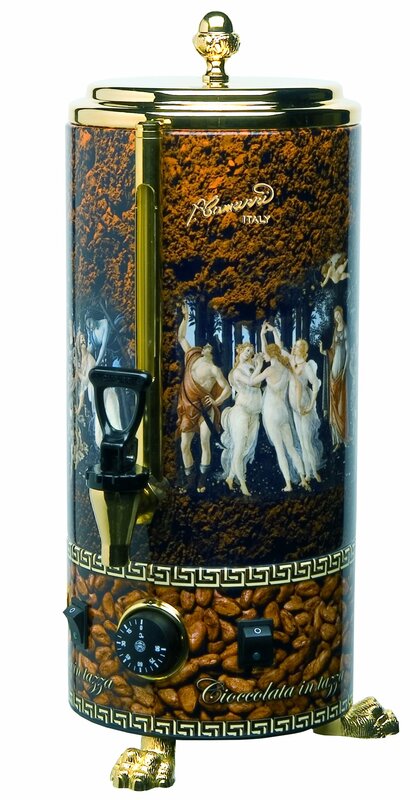 The Cioccolatiera Camurri mixes, heats and serves excellent hot chocolate in a matter of minutes without needing any special attention. The bain-marie system enhances and preserves the flavour for considerable time and the special mixer unit melts the chocolate and maintains its consistency. 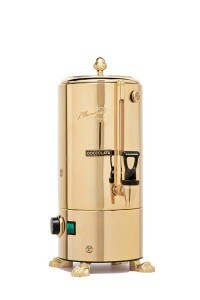 Camurri had its most discerning customers in mind when it designed its gold-plated chocolate maker. It mixes, heats and serves excellent hot chocolate in a matter of minutes without needing any special attention. This superbly decorated Cioccolatiera Camurri chocolate Maker will meet the approval of the most demanding customers. 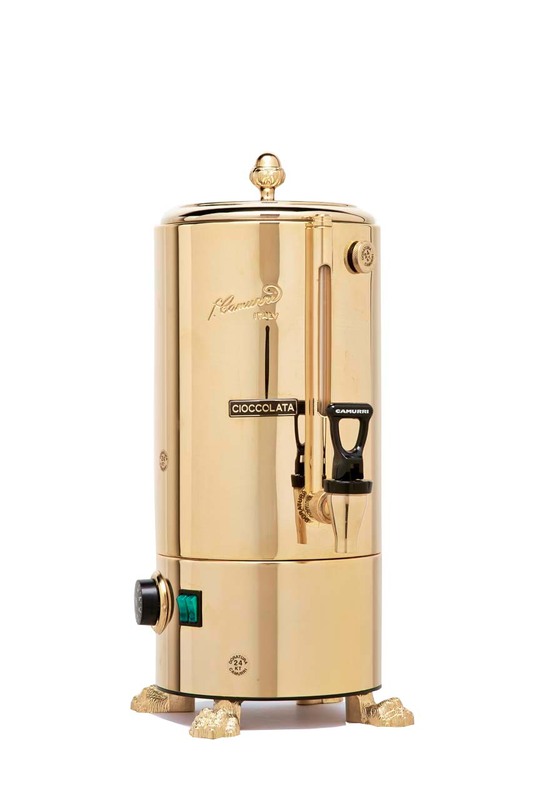 It mixes, heats and serves excellent hot chocolate in a matter of minutes without needing any special attention.